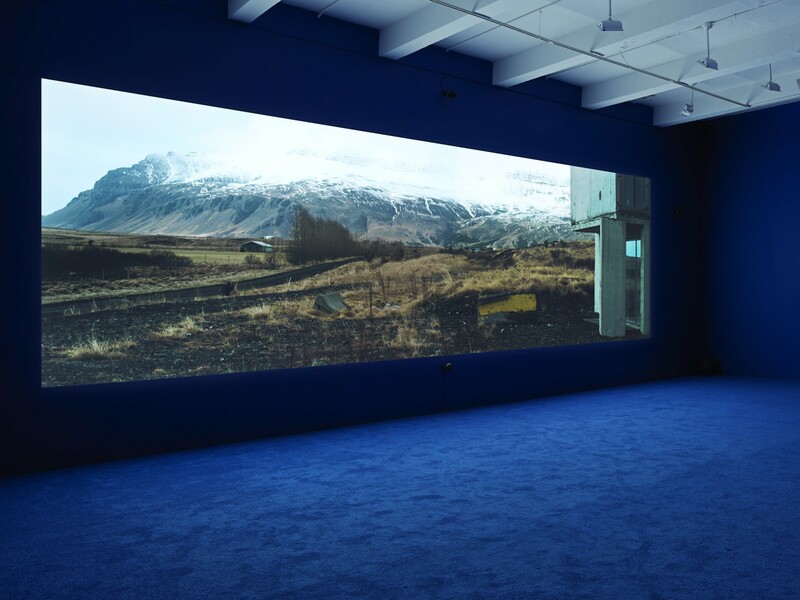 Metro Pictures presents a special presentation of Isaac Julien's "PLAYTIME," an exhibition that explores current debates on the relationships between capital, the art world and the individual. 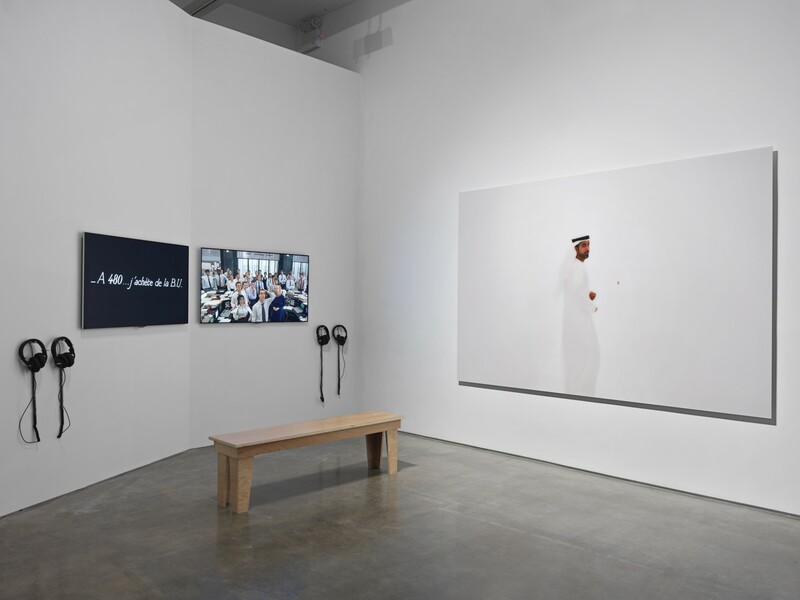 The exhibition comprises the large film installation, PLAYTIME, a two-monitor flat-screen installation, KAPITAL; a single-monitor film, PLAYTIME (Auctioneer); and six photographic works. Consisting of three chapters, PLAYTIME is set across three cities defined by their relationship to capital: London, a city transformed by the deregulation of banks; Reykjavik, where the 2008 crisis began; and Dubai, one of the Middle East's burgeoning financial markets. Following the five main characters identified only as The Collector, The Houseworker, The Artist, The Auctioneer and The Reporter, PLAYTIME asks how these diverse characters are entangled in capital and how they are implicated in the global financial crisis. All the characters in PLAYTIME are based on real individuals whom Julien interviewed and researched extensively. The work blurs the line between documentary and fiction by mixing dialogue performed by actors with excerpts from the interviewees themselves. KAPITAL presents Julien and David Harvey, author of the book "The Enigma of Capital," in conversation with theorists, critics and curators at the Hayward Gallery in London. The film opens by asking how we can visualize modern capital. As the conversation progresses it becomes clear that the problem of visualizing such an abstract notion is itself linked to other questions such as: what commonalities and differences are there between the capital of today and that described by Marx? How does capital relate to the art market and what effect does it have on art's attempts to depict capital and its effects? Julien's technique of parallel montage is developed in KAPITAL as he uses two screens to equalize the process of theoretical enquiry, bringing artist, theorist, audience, academic and student onto a horizontal but constantly shifting plane. 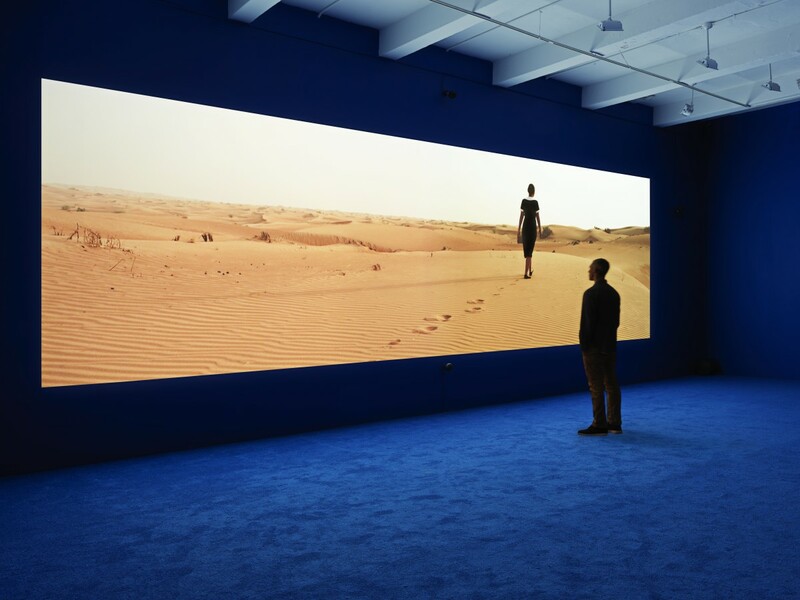 Julien's acclaimed film Ten Thousand Waves is on view at the Museum of Modern Art November 25 - February 17, 2014. Projected onto nine double-sided screens, the installation is conceived especially for the Donald B. and Catherine C. Marron Atrium at the museum.